Aglianico from Campania is sometimes called ‘the Barolo of the South‘, not because it tastes like Barolo but because it is ageworthy and regal like Barolo. Brought to the region by the Greeks as far back as 800 BC (the name comes from the Greek Ellenico), Aglianico thrives on the volcanic soils and altitudes of Irpinia and the Taurasi DOCG zone. 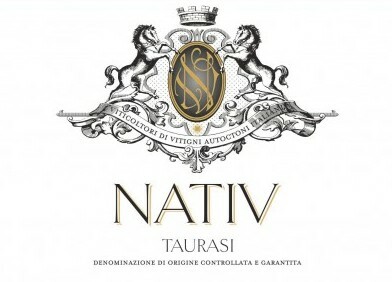 Taurasi is a bold, yet elegant red wine with intense ruby color and garnet reflections. It opens with a complex bouquet with hints of cherry, fruits of the forest, spicy scents of violet and tobacco and a suggestion of minerals. Elegant, smooth, velvety and intense it displays characteristic hints of plums, black cherries, black pepper and tar. It is full bodied and austere on the palate yet with balanced tannins and acidity. It is an excellent accompaniment for roasted or grilled red meat, game, spicy dishes, and mature cheeses. It will continue to age and develop for more than a decade. Pre-fermentation maceration at low temperature, maceration on the skins for approximately 20 days. Fermentation with natural yeasts. Malolactic fermentation is carried out in barrique. 3 months in steel and 24 months in French oak barriques.